This tutorial is for a simple Backup solution for your entire unRAID box, flash drive and all. I just wanted a GUI solution that will offer the same fine grained control with minimum setup. I wanted something reliable as my data in invaluable. I didn't want to risk losing anything because I cheaped out on something. Both the application I chose and the storage provider offer trial / free tier options so you can try this tutorial out. If it's not for you, no harm no foul. Some of you will also be averse to "Handing your data over to the corporations". I respect that, but I can't risk losing a lifetime of family photos so i'm willing to pay for a little piece of mind. This is the application that will be used to initiate, schedule, monitor, and track the backup. It's a $29.99 one off cost and in my mind was well worth it. They are reputable and have a great suite of products. If you don't want to use BackBlaze as I have, you can also connect CloudBerry to a host of other storage providers. It also caters for encryption and in the event of a disaster it has restore functionality as well. CloudBerry offer a 15 Day trail so you can test out the functionality and see if it fits your use case. After some great sleuth work by @charlescc1000 , looks like the personal edition of CloudBerry is limited to 5TB worth of data. so this guide will work well if you're under that limit. Looks like if you're above that limit you will need to buy the Linux Ultimate Version which is $149.99. Please bear this in mind. Might be extortionate for some, but personally I think it's okay as a one off cost. You're able to upgrade and pay the difference once you hit the limit as well. Another reputable company in the backup business, BackBlaze was my provider of choice. It will cost you $0.005/GB/month so $5/TB/month. It is much faster compared to offerings from CrashPlan and is cheaper than S3 (non-glacier), Azure, and Google Cloud. There is no fee for getting your data into BackBlaze but there is a 0.01/GB cost for download. They also integrate with many other vendors such so if you decide to switch to another NAS solution you can get your data onto there as well. It's pay for what you use so I won't be capped / paying for anything I'm not using. BackBlaze give you the first 10GB Free for you to test. 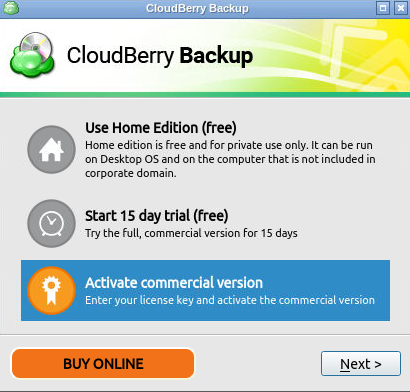 The variant you need to buy is CloudBerry Desktop Backup for Linux. After you've purchased it they will email you an activation code. We'll keep this handy for the next step. Head over to the APPS tab in unRAID. If you can't see it you need to install the Community Applications plugin. Search for CloudBerry and click the install button under it. You can keep all the default values and click apply. 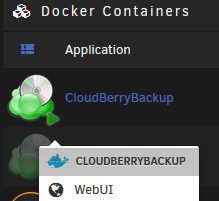 Head to the Docker tab in unRAID, click the play icon on CloudBerryBackup followed by WebUI. Click the Backup / Backup Files Button which will open the Cloud Storage window. Click on the little plus icon followed by BackBlaze B2. We can leave this window as is and come back to it after we've setup BackBlaze. You can sign up to BackBlaze free of charge and You can use a google account to sign in if that makes it easier. In your account click on Settings on the left and scroll down to Enabled Products. Next to B2 Cloud Storage, Click on the Link to Verify your Mobile Number. Once your number is verified enable B2 Cloud Storage. you could create multiple buckets to do so. For me I just wanted all my data stored in a single bucket (your folder structure will remain in the bucket so not to worry). Now that we've created the bucket that will hold all the data we need the keys to it. For this we click on Show Account ID and Application Key. Here again you have quite fine grained control over your bucket via multiple Application Keys. So if you had one of your friends backup up to your bucket. other keys you could do that. For me, I've just got a single device backing up so I'm going to use the Master Application Key. Please note that Master Keys are only displayed once. So once you click Create New Master Application Key keep the window open we're going to use it immediately. Copy your application ID to your clipboard for bonus efficiency points. 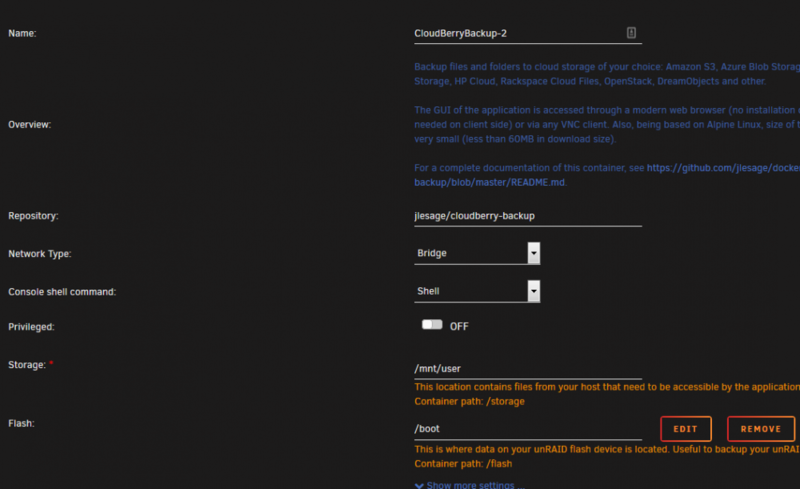 Head back to our CloudBerry Container WebUI and choose a display name for this Backup plan. 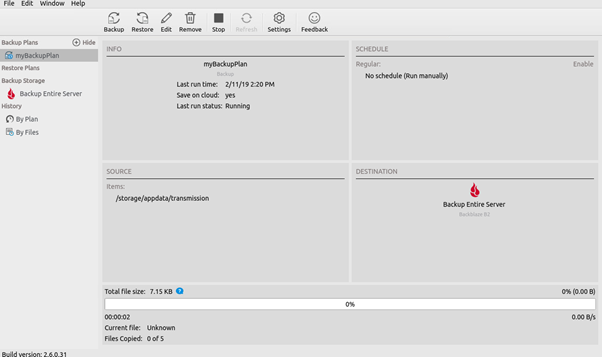 You can create multiple backup Plans if you wish but we're just creating a single one for now to backup the entire server. with the clipboard button on the top right in the Navbar. Click on the Clipboard button, paste your application ID into the box and click submit. 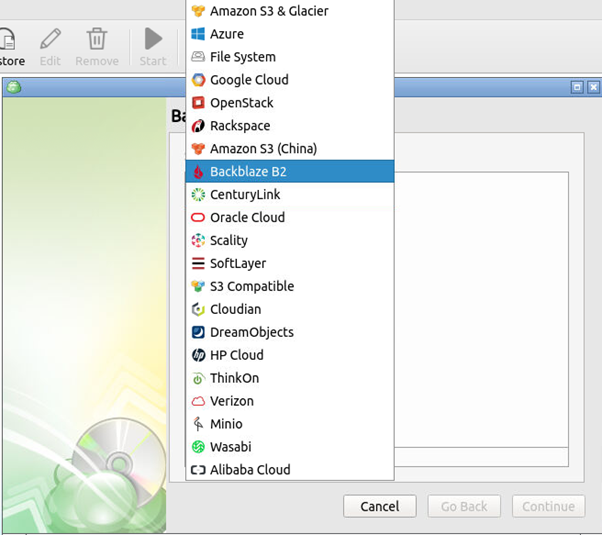 You can now paste your Application ID into the CloudBerry dialog box. Now Do the same for the Master Application Key. Click the drop down box next to Bucket. After 1 or 2 seconds you will see the Bucket name that we created in the previous step. Hoorah! 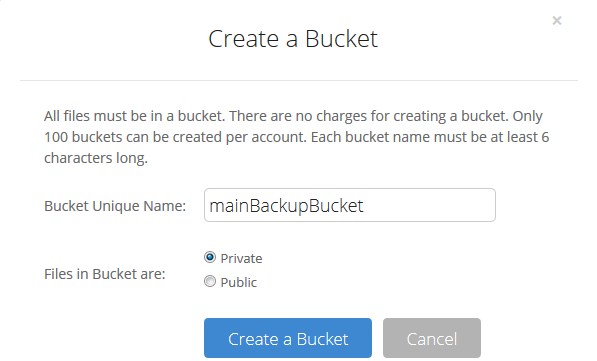 Under Advanced Settings you can choose a prefix that this backup plan will use in the bucket. This is useful if you have more than one backup plan. Select Okay and click on the Plan we've just created and click Continue. 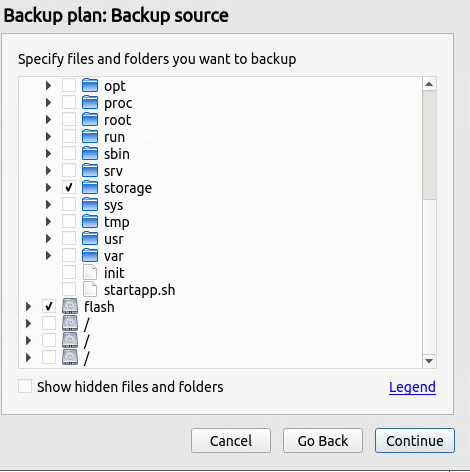 Choose a Backup Plan Name and click Continue. The next window shows a few drives. The one's you're interested in are the first two. The first one of which will just show up as "/". If you'd like to backup the contents of your flash drive click the tick box next to it. Expand the first drive and scroll down to the folder labeled "storage"
This should immediately look familiar to you. Yes! They are your shares. Select the folders you want to backup or choose "storage" if you want to backup everything followed by Continue. Are best answered by you alone. I personally Backup all the files in the storage folder, with encryption on, retain all the files, and backup daily at midnight. 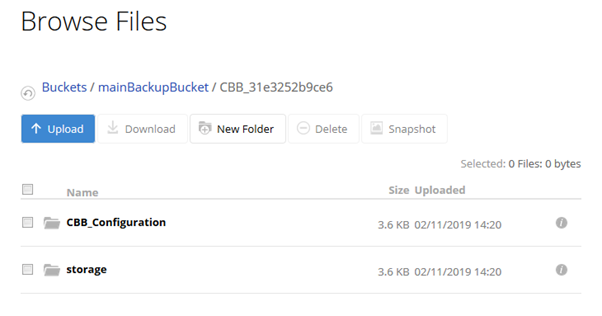 The backup is an incremental backup so only files that have been added or changed will make their way up to BackBlaze. That being said your options may vary. 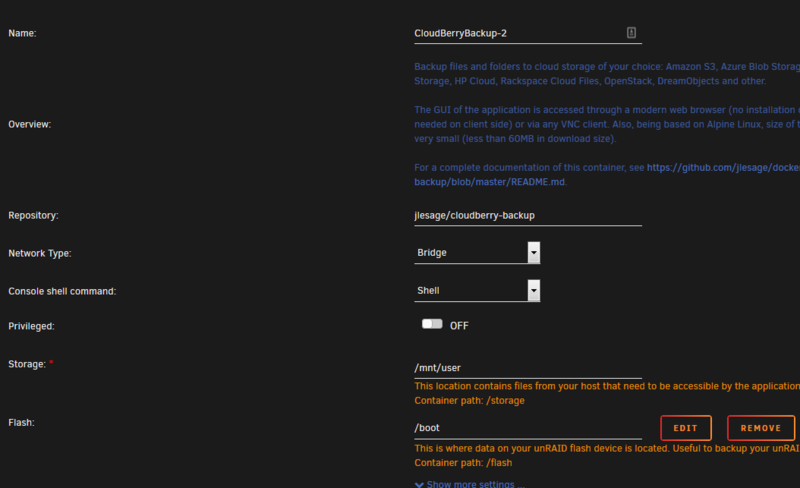 To manually start your backup click on your backup plan in CloudBerry (myBackupPlan) and click Start. Your backup should immediately begin. To see the fruits of your work head back to BackBlaze, Under B2 Cloud Storage click on Browse Files. You should see your bucket there and all your files under it. Really well written and helpful thanks! Could you add a restore procedure as well? Nice tutorial! I just created a Windows VM and use regular Backblaze (unlimited storage, $50 a year) client on it to back my stuff up. Map a drive(s) to the share(s) necessary on your unRAID box via a service account (so the Backblaze client will be able to process them like a system drive), selected what i wanted to back up, done. 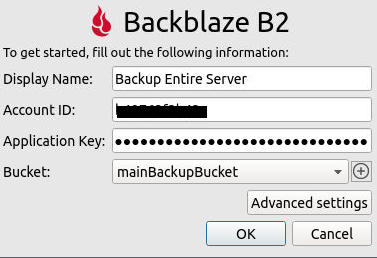 Backups, restores, etc, all easy peasy, even from the Backblaze web interface. 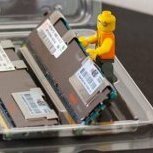 This is a great write-up and should work well for many people with less than 5TB of data. I previously used CloudBerry but quickly discovered that the backup software has a maximum of 5TB of data that it can manage unless you purchase the enterprise edition for $300. So this is an important consideration as many unraid users probably have far more than 5TB of data they would like to backup. about a year and a half ago I bought the linux standard edition, which shows up as "server edition." My license says server edition and I'm currently at 6tb and have gone up to 10 or so before without hitting any limit. also of note, there is a way to run dual installs (or as many as you want) on the same registered license. but really you should just give them your money. But never the less good shout! 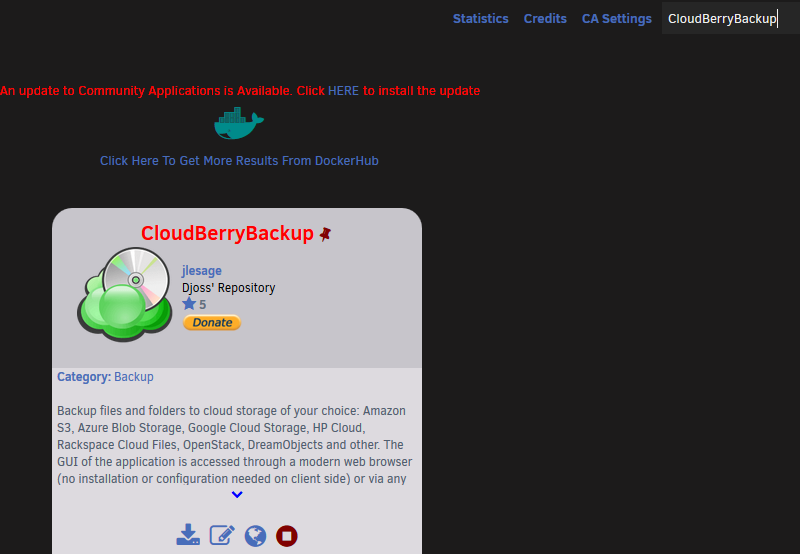 This is perfect timing as I am looking for ways to backup my server using cloudberry. Except that I don't want to back it up to the cloud, I want to back it up to another unraid server in a remote location. 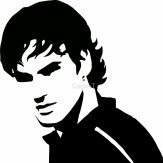 YUSUFLIMZ - OP, thanks for the fantastic write-up! Yeah, I'm sure many folks will be delighted when Cloudberry has a bulletproof way to backup to another unRaid server. Share your server with some friends with no risk of exposing each others files. Well, BackBlaze do have a $5 / month unlimited option that you could use. You’d have to create a Windows VM and mount the drive in a way that Windows sees it as a native drive. I think you have to mount it through a service account. How can you map the drives to windows so they are recognized by backblaze? I dont understand the 'via a service account' bit. Thanks in advance! Any who can help! Then select "run at system startup" (or similar, I do not have an English version) and you are done.